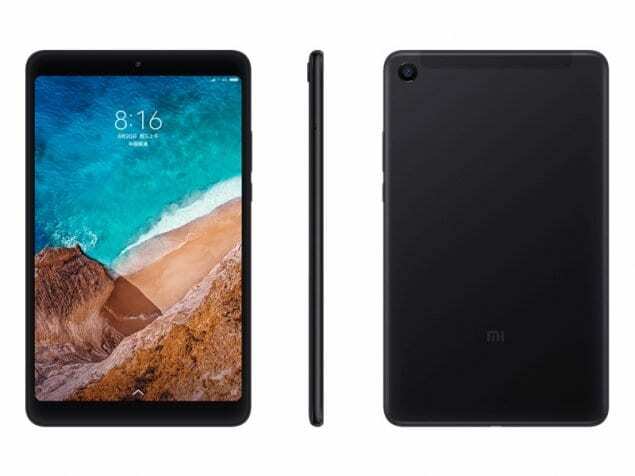 Chinese company, Xiaomi introduces Mi Pad 4 in Chinese market. The new device offers 8-inch and 16:10 display with Snapdragon 660 SoC. The Mi Pad 4 is available in two different models such as Wi-Fi version only and Wi-Fi + LTE version display variants. Both different types of models may be available on June 29. Specifications – The Mi Pad 4 offers 8-inch full-HD with a resolution of 1920×1200 pixels display with 16:10 aspect ratio and pixel density of 283 ppi. It has an octa-core Qualcomm Snapdragon 660 SoC with either 3GB or 4GB of RAM and operates on MIUI 9 which is based on Android. The tablet also offers the storage of either 32GB or 64GB which is not expandable by using microSD card and is back up by a 6000mAh. It also provide AI Face Unlock feature. In case of cameras, the device comes with a rear camera of 13-megapixel which has an f/2.0 aperture and support HDR. There is another camera is placed at the front of 5-megapixel with an f/2.0 aperture. There are several features of tablet such as 4G LTE (single Nano-SIM), Wi-Fi 802.11 a/b/g/n/ac (dual-band, 2.45GHz and 5GHz), Bluetooth v5.0, 3.5mm headphone jack, and USB Type-C. GPS and A-GPS options are only available on the LTE variant. It also has several sensors in only Wi-Fi device such as accelerometer, ambient light sensor, and a gyroscope. Its size is 200.2×120.3×7.9mm, and weighs 342.5 grams.